The calculation of the mathematical model of the soil is knitted triangular with different algorithms for topography surveys, aerial, for sections and with laser scanners. You can choose how you want to insert the lines of discontinuity: manually (by selecting the point to point ), semi-automatic (search for points with the same code), fully automatic. 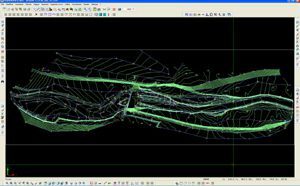 Automatic extraction of profiles and sections from the terrain model. 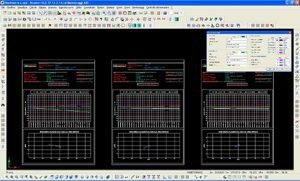 Sections and profiles can be obtained by just measuring points without using the mathematical model: Strato® also provides the ability to align the refernce points on the reference line. A specific print report lists in detail the planimetric coordinates and the height difference of prisms, justifying the result obtained. This guarantees the highest accuracy possible. Is also possible to obtain the planimetry with defined areas of excavation detected.